Obituray - Published in the Portland Press Herald/Maine Sunday Telegram on 6/13/2006. NOBLEBORO -- George Farrington Dow, 100, of Nobleboro, died on June 9, 2006, at Cove's Edge Nursing Home in Damariscotta. He was born July 22, 1905, in South Portland, the son of J. Henry Dow and Abbie (Farrington) Dow. He grew up on a dairy farm in Fayette, Maine. After attending Kents Hill Seminary, he obtained his BS and MS degrees from the University of Maine, at Orono, and his doctor's degree from Cornell University. In 1930 he married Myrtle Walker of Alna. He spent 42 years, from 1927 to 1969, at the University of Maine. He did research, and some teaching, with a focus on the economics of milk production and marketing. 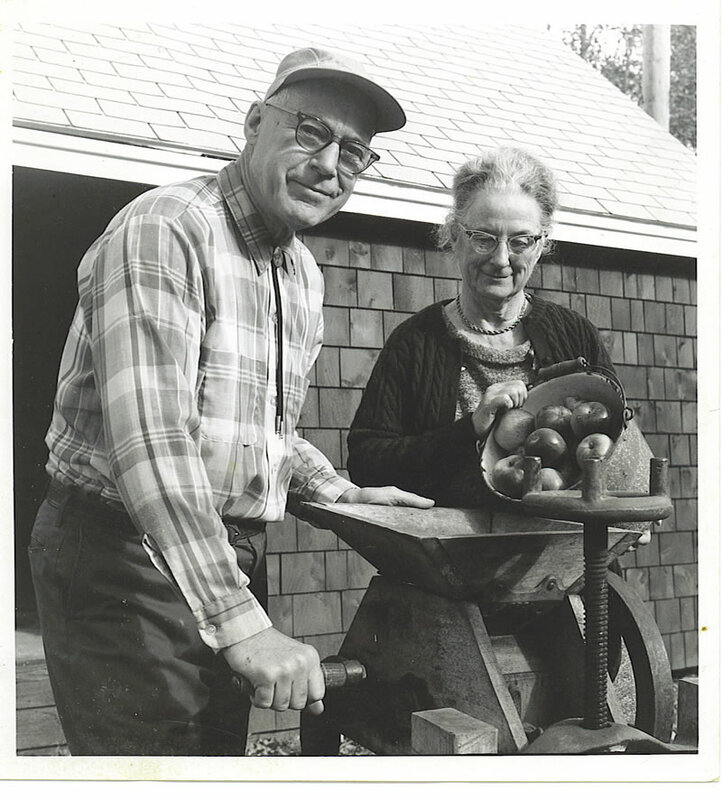 From 1947 to 1969 he was an administrator in the Maine Agricultural Experiment Station. He served as Associate Director from 1951 and Director from 1957. Dow was a member of the Alpha Gamma Rho fraternity, for which he served for 20 years as Faculty Advisory; also of the honor societies of Alpha Zeta, Phi Kappa Phi, and Sigma Xi. He was active in the University of Maine Alumni Association, the local church, and the state YMCA, receiving their highest awards. Upon retirement in 1969, he was designated Director Emeritus, and was awarded an honorary Doctor of Science degree. 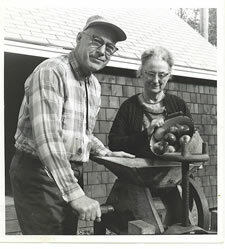 He then moved to Nobleboro with his wife Myrtle and sister Ruth Dow. He helped organize the Nobleboro Historical Society, which he served as President and Curator. He provided active leadership for efforts to restore and care for Nobleboro cemeteries. He was also highly involved with the First Baptist Church of Nobleboro. He served as the Town Historian and was co-author of Nobleboro, Maine -A History. He wrote over 760 history articles for publication in the Lincoln County News. His Nobleboro's War Time Involvements was published in 2005. 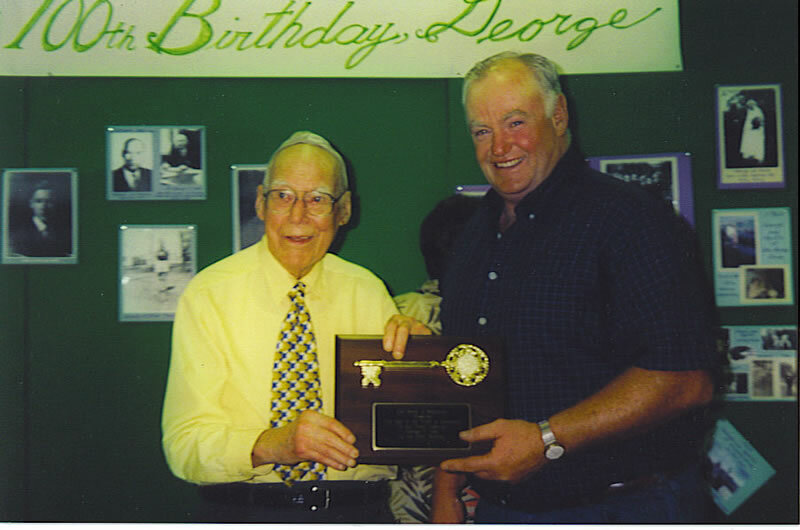 The town's George Dow Scholarship Fund, set up in 1995 and enriched by celebratory donations in 2005 in honor of his 90th and 100th birthdays, awarded its first scholarship this past May. 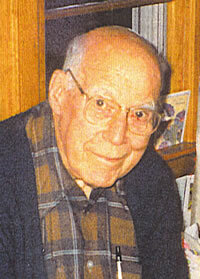 He was predeceased by his wife Myrtle (Walker) Dow in 1992, and his sister Ruth Dow in 2005. He is survived by three daughters, Margaret Ricker and husband George of Windham, Barbara Turner and husband James of Cary, N.C., Elizabeth Scott and companion Maurice Furbush of Bangor; five grandchildren; and three great-grandchildren. Friends may call from 5 to 7 p.m., Thursday, June 15, at the Strong Funeral Home in Damariscotta. A Farewell Celebration will be held at 2 p.m., Friday, June 16, at the First Baptist Church of Nobleboro, with Pastor BobWyand officiating, followed by a reception at the church and interment in the Dow/Walker family plot in the Alna Cemetery. Arrangements are entrusted to care and direction of the Strong Funeral Home and Cremation Center, 612 Main Street, Damariscotta. George asked that I speak to represent the Nobleboro Historical Society – and for the members of the Society, I think I can sum it up with a big ‘thank you’ for his leadership, devotion, tireless work, and good cheer – and, yes, his occasional inflexible streak. The Nobleboro Historical Society is alive and well – under his guidance many, many folks worked together to gather Nobleboro’s history and to share it with the community, but George was the steady guiding force through the now 28 years of the Society. The Historical Society started in 1978– and as we all know, when George had an idea . . . it usually became reality as he cajoled and schmoozed all of us to achieve the goal. Everyone who worked with George has a tale – told with a smile – about being cajoled or schmoozed into some project or task. It has been about 10 years since I first met George and I can’t count how many times people have said, "I just couldn’t say ‘no’ to George." Just before Christmas in 2003 when I stopped by to bring some cookies, I was one of those who couldn’t say ‘no’ – and ended up agreeing to be president of the Historical Society. It was important to him that the Historical Society prosper – and he promised to give me all the information and help and behind the scene stories and to support me -- and indeed he did everything he said – and more. .. It is truly an honor and a pleasure to have worked so closely with such a talented and special man. The Historical Society has an Historical Center – cared for by the Town. Working with the Town was always important to George and the feeling was mutual. George is indeed the Town historian . . .and when you mention "George," you don’t need a last name! and by George’s design these scholarship funds are taken from the interest earned and thus can continue for many years. 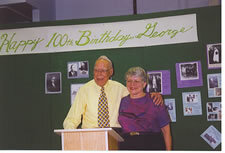 It was George’s plan to raised these scholarship funds through the AppleFest – a wonderful community event held jointly with the school PTO for about 10 years. It was officially discontinued in 2000, but there is now renewed interest in a community-wide AppleFest for this fall. Each year George enjoyed talking with the 4th and 6th grade students from the Nobleboro Central School and for the last few years he has included Sally Hough and me in these history lessons – which the kids always loved and which always ran over their allotted time. Because of his planning for the future, Sally and I know what we are supposed to do – and will be able to continue this tradition – and to show those kids how to use the crank telephone – and let one of them climb up on a footstool and ‘call’ one of their friends in the class. And we will work on getting the right twinkle in our eyes and smile that made these kids enjoy coming to hear Dr. Dow. Then there are the hundreds of folks he helped to track down their Nobleboro ancestors – Margaret talked with a man from the Blackstone family who called George the evening that he died. On Wednesday an ancestor of Linwood Palmer is coming to the Center – and he warmly recalled working with George last year – and not only did he get the genealogy information he wanted, but he spent over $100 to buy the Good Times cookbook, the Nobleboro History book and some Nobleboro maps – something that pleased George immensely! When I meet with this young man, I will try to keep up the tradition and see if he would like to buy George’s Nobleboro’s War Time Involvement book . . .
Another important project for George was locating the cemeteries in Nobleboro. He made a map and worked with others to find volunteers to care for those small cemeteries spread out in the corners of farms and family fields – and he established the tradition, now carried on by the local American Legion, of having a flag put on every veteran’s grave. And as George requested a few months ago, we will prepare a Nobleboro Cemetery Book to provide extensive information about the people buried in Nobleboro – and have this information available on our website. 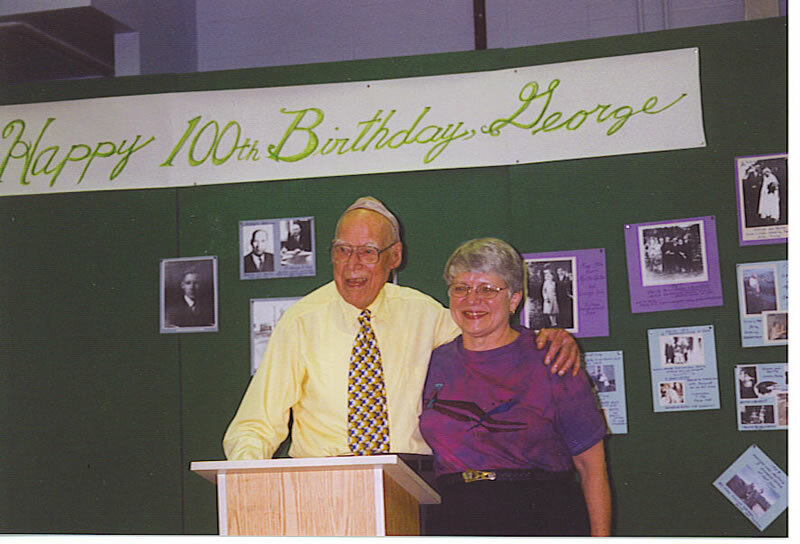 There are more accomplishments, but George also requested that I talk about his 100th birthday party – and it was a gala event and as he has told all of us again and again – he had a wonderful time!
. . . all donations given to the George Dow Scholarship fund started by the Town of Nobleboro at his wonderful, star-studded, town-wide 90th birthday celebration. And thanks to the generosity of many, many folks – including the Lincoln County Publishing gift of $762 -- $1 for each of the articles he had written for them – and including gifts from George himself and his family, he presented the first Dow Scholarship a few weeks ago – and it was awarded to a young man from this church. By the way, in the last week in June, the 765th article written by George will be published – to announce the summer Open Houses at the Historical Center. He was honored to receive the key to the Town and treasured the photo of the Historical Center that was signed by over 200 folks. It hung over his desk and then went with him to Cove’s Edge. George said that "it was like having my friends right here with me" - and indeed we were with him -- and are here with him. He loved the flowers arranged by Shirley Bailey – and all of the photos of his life, family and accomplishments that she had gathered and blown up and arranged on the walls for all the birthday guests to enjoy. The birthday party was a Dessert Social, since the whole town knew how much George loved sweets -- and to the 25 women who baked for him! -- well, they got special praise and thanks. And most of these same folks happily baked one more time for him today. We all know that George was special -- and I think that he was special to each of us for different, but similar reasons. He was a gentleman, kind, cheerful, positive, forward-looking, benevolent (as mentioned in the recent editorial), had a twinkle in his eye, appreciated good work, and God was a guiding force in his life. At his 100th birthday Pastor Bob gave a blessing, after which George quipped, "That’s better than the last rites," and we laughed, as we knew George enjoyed life and used well the "100 years of wisdom that God gave him". Now we can celebrate at George’s farewell party – as he specifically requested in his instructions for this day. We miss him – I will miss him, as he was my friend and had become part of my extended family. And we will remember George with many smiles and stories – and we look forward to keeping the Nobleboro Historical Society, that he loved, alive and well – and one of the important community organizations. As George reminded us at his birthday party, "Nobleboro is a Little Town with a Big Heart."